I bought two of these T's on sale at Target for $2 each. 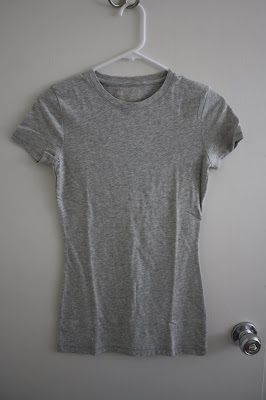 Plain, simple, boring tee shirt. sewed the side seems up. so it gives it a more finished look. 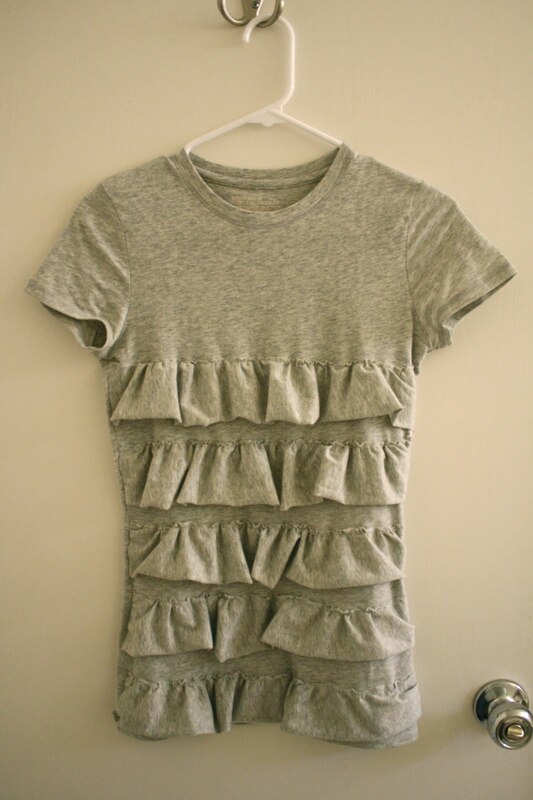 So for $4 I have a fun ruffled tee! That is too cute ~ Wish I knew how to sew because that is a very frugal transformation that would look so cute under sweaters this winter or even layered with a long sleeve t-shirt. GREAT JOB! So cute!.. This would make a great Christmas gift! 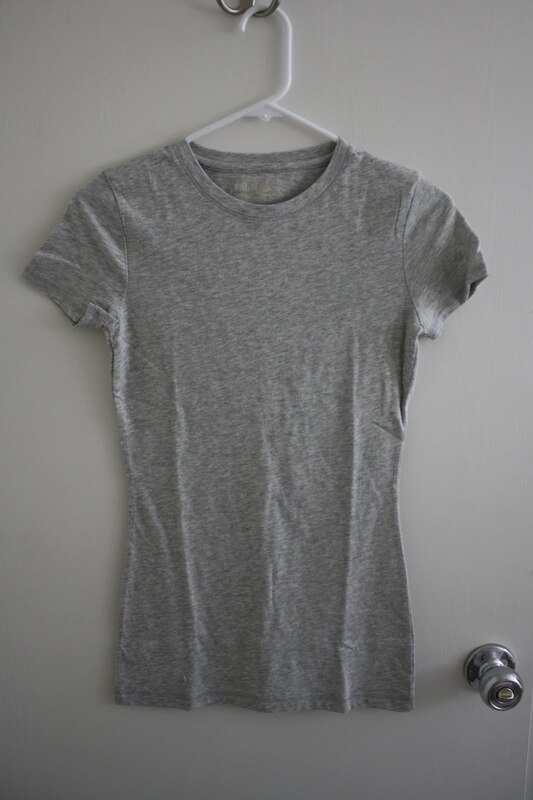 I have a shirt that I have been wanted to change up somehow. This is a great idea! I'm going to try it!